Princess Sofia needs your help to be prepared for the ball this night. 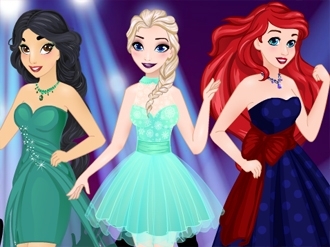 Pick some cute girly makeup and dress up her with nice princess clothes. Princess Tiana was invited to a prom this night. But her hair seems to look very poor. Take care of Tiana's hair and help her think of the best make up and the cutest gown for the prom. Play free game Flower Store Girl Dress Up on bestgames.pk. Join the free girl game Flower Store Girl Dress Up to dress your dreaming flower girl! This game is totally mouse control. There are all items needed for a beautiful girl at the left side. Left click and drag the chosen item to the girl. Then the items will be dressed automatically. If you want to undo a movement, just click at the item on the girl and drag it away to remove it! Have fun here at www.bestgames.pk!